Provides investigation, diagnostic testing and repair/resolution of system, hardware, software and infrastructure. Manage servers, including database, e-mail, printers, and backup servers and their associated operating systems and software including and system backups and recovery. 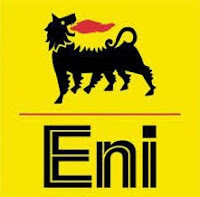 Comply with requirements of the Safety, Health and Environmental laws of Indonesia and obey the corporate policy of eni Indonesia on Safety, Health and Environment, and to practice eni Indonesia Safety Systems. HSES awareness in all duties and activities / compliance enforcement with general HSES rules. Minimum of Undergraduate degree in technical discipline or computer science / information technology from an accredited institution. Trainings and courses: IT Service management, HSE Awareness, System Administration, Employee induction program. Minimum 5 years experience in similar position, preferably in Oil and Gas industries. Knowledge, technical or Professional Skills: Updated general knowledge of enterprise scale infrastructure systems technology. Ability to multi-task in a company environment. Team player with good discipline and positive work attitude as well as independently. Ability to communicate in an understandable, polite and friendly manner both written and verbal. In Balikpapan Office. The position requires occasionally to standby outside office hours for solving problems and for delivering ICT projects or changes and to travel to Jakarta Office or remote sites. During the planning stage of a project, the engineer develops the scope and goals for the team during each step in the process. Planning also includes the development of criteria or measurable data to determine the success of a project. Prior to encountering any obstacles, it’s important to establish contingency plans with backup resources and accommodations for prospective delays. As a project proceeds, whether or not changes occur, it may affect other departments and coordinators, who must become apprised of new developments; communication is vital as steps are checked off. A project engineer must resolve conflicts and obstacles to keep the project on track. During the implementation phase of a project, he or she must analyze the results against a defined set of criteria. It’s then important to identify and correct weaknesses. Throughout the project, an engineer must provide sponsors or upper management personnel with detailed reports of the project’s progression that include budgets, milestones and analyses of implementation. Supervisors may require the project manager to make changes to the project based on reports, feedback, and updates. Regional and HQ Team for support, collaboration, problem solving. Minimum of Undergraduate degree in Computer Science or Engineering from an accredited institution. Industrial Control System Security (PLC / SCADA / DCS). Jakarta Office. The position requires occasionally to standby outside company standard working hours for solving problems and for delivering ICT projects or changes and to travel to site. Please note that applications may not be reviewed if received after 9 August 2018. We regret that only shortlisted candidates will be notified. Thanks for reading Eni Jobs: 2 Positions. Please share...!